We were going to give it a miss. Too grey, crowded, polluted. Crazy traffic. Too dangerous, we were told. Guess what? We did visit São Paulo. And loved it. 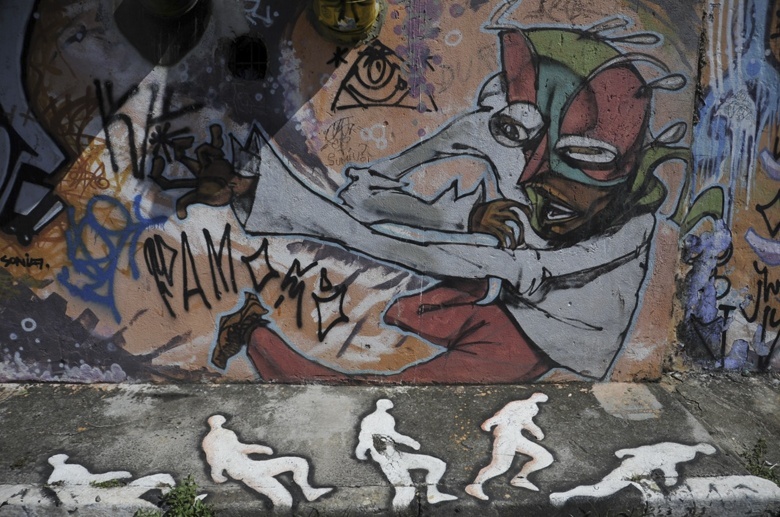 Here’s our Five Quick Tips for São Paulo on what to do and see in this grey, crowded, polluted but amazing city. What are our tips for São Paulo? Yes. SP is crazy. Imagine Rio on steroids, double the size, without beaches and hills. The best way not to get overwhelmed by the fast pace and sprawling concrete is to stay in a neighbourhood away from the city centre (i.e the area around Avenida Paulista). 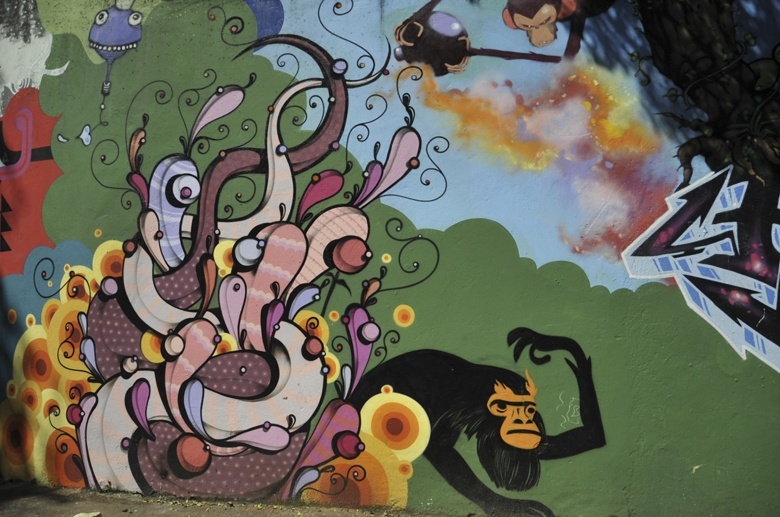 We chose Vila Madalena, the so-called artist district in São Paulo, a kind of London hipster hangout, a sunny Shoreditch full of art galleries and organic delis. One of those places that make you feel a world away from the hustle and bustle of the high street. We stayed in Vila Madalena Hostel, one of the best hostels ever. Just perfect. I can’t say why, it was perfect. It was thanks to Tulio, the wonderful hostel owner, that we discovered a great hidden secret; Beco do Batman, an alleyway covered in street art. If you’re in São Paulo at the weekend, take a short day trip to Embu, a small town a short drive away from the metropolis. In the Sixties in was a hippie mecca, now it hosts a weekend craft fair. The town itself is very pretty, with a cobbled plaza and leafy streets chockablock with market stalls, selling street food, local crafts and even puppies. Click here for info on how to get there by public transport. In our Rio in five insider tips post I have explained what a rodizio is; basically, a Brazilian version of all you can eat. Normally it’s meat-based, in São Paulo it can be anything. We were told there’s even soup rodizio and ice-cream rodizio. As an Italian abroad, I had to try rodizio de pizza. Surely the pizza served at rodizio is not what an Italian would expect! There are fairly simple pizzas, such as garlic and olives or chicken and sweetcorn, as well as interesting concoctions such as pizza baiana (with spicy prawns and extra chillies) and pizza mineira (with dried meat). And I could not believe it… they had sweet pizzas for dessert, with combinations such as white chocolate and coconut and bananas with dulce de leche. Quite good, actually. It seems universal: every great city must have at least one great park. New York has its Central Park, London chills out at Hyde Park (amongst others). 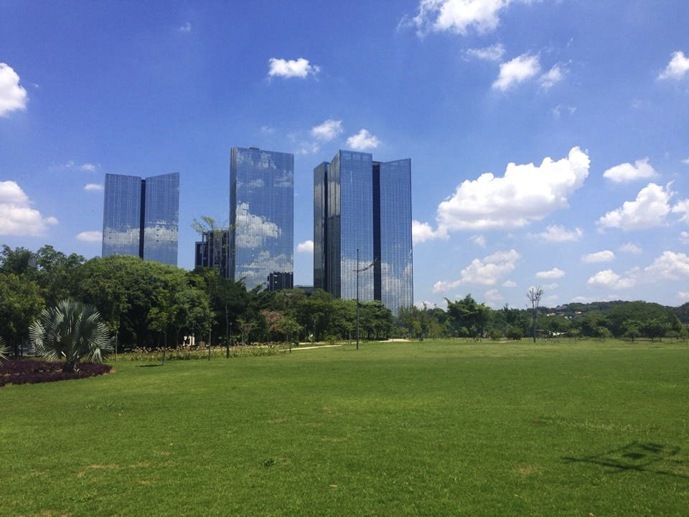 São Paulo has Parque Ibirapuera. 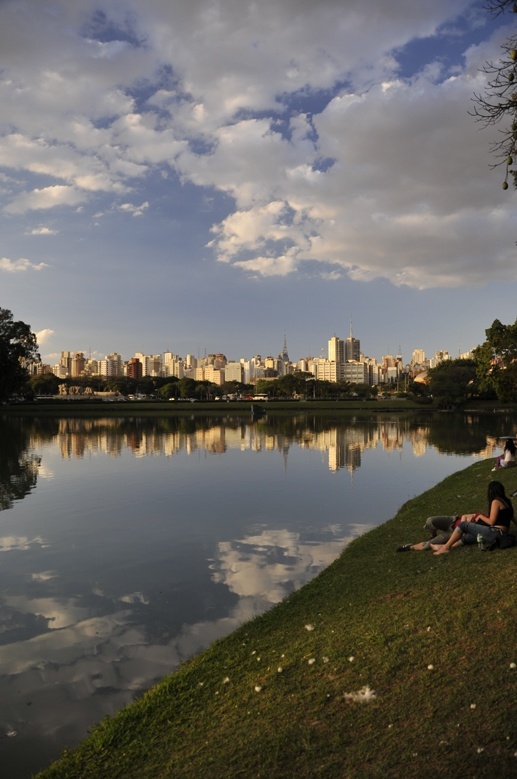 We spent an afternoon wandering around, visiting the park’s buildings (designed by Oscar Niemeyer) and sitting around its lake, while Paulistas paraded up and down getting a breath of fresh air, watching the sun set behind the city skyline. What I like about big cities is the fact that they have hidden secrets; the mixture of history and immigration usually create an interesting climate for multiculturalism and cultural innovation. This is exactly São Paulo. Immigration during the past century has brought to the city thousands of Italians, Lebanese, Greek, Africans, Germans and many others. The city now hosts sizeable communities of immigrants; besides the famous Bixiga (Sampa’s Little Italy) and Liberdade (the Japanese neighbourhood) there are Chinese markets, Korean restaurants, German pubs and a Jewish district. As in my beloved London, São Paulo’s multiethnic soul has produced a vibrant dining scene. Sampa’s sushi is considered one of the best this side of Japan. Plus there are excellent restaurants from as far apart as Russia and Uruguay, as well as from every nook and cranny of Brazil. Here’s two delicious choices, at either end of the budget spectrum: splurge on top-dollar sushi at Kinoshita, or keep it real with lush pasteis from Mercato São Pedro, in (Yes! You guessed it!) Vila Madalena. For more insider tips on Brazilian cities, check our Salvador and Rio de Janeiro post! Awesome tips of places to go in São Paulo! 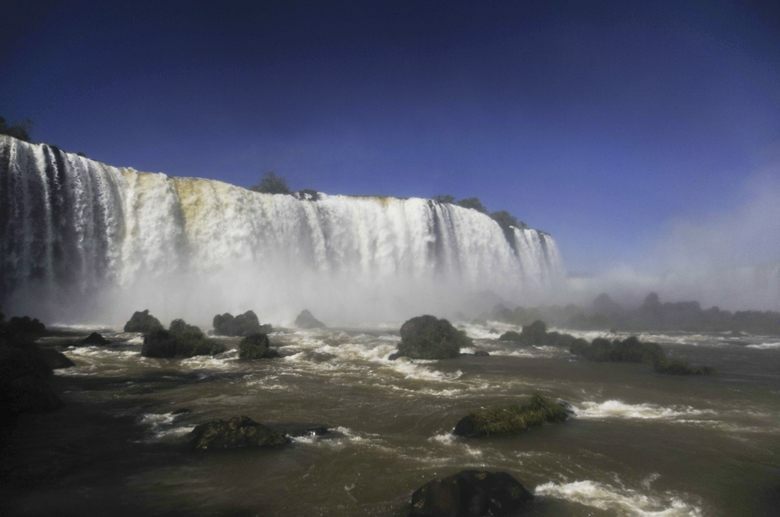 I liked very much, I think about visiting the city soon and I’ve been looking for places to go and also have been giving a special attention to the bus tickets, which I read is a great way to save on a trip around Brazil. 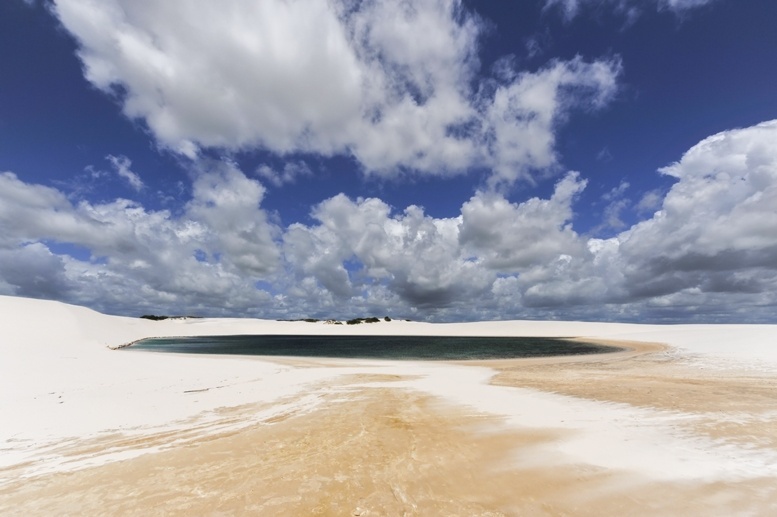 On the Brazil Bus Travel website there are options to go to different places in the country with a very friendly cost. Thanks for the tip Beatriz!